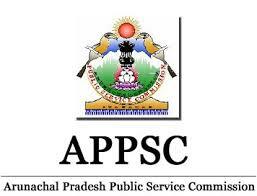 UDC /Accountant, Group 'C' (Non Gazetted ) job recruitment in Arunachal Pradesh PSC. Qualification: Candidates applying for the post must possess a Bachelor Degree in any discipline from a recognized University or equivalent and Basic Knowledge on computer Application(Microsoft Office). No.of Posts: 9 (Out of 9(nine) posts, 8(eight) posts are borne under the Department of Planning and 1(one) post under the Arunachal Pradesh Public service Commission. )The ratio of reservation is 8(eight) posts reserved for APST candidates and 1(one) post unreserved. Age: Candidates should not be less than 18 years of age and not more than 30 years of age as on 06-04-2018. Method of Selection: Eligible candidates will be required to appear in the Written Examination in the following subjects on the basis of which selection will be finalized. Application Fee: Candidates are required to pay fee of Rs.150 For APST and Rs.100 Only for APST Candidates through Online. Last date for submission of application is 06/04/2018 till 4 PM.